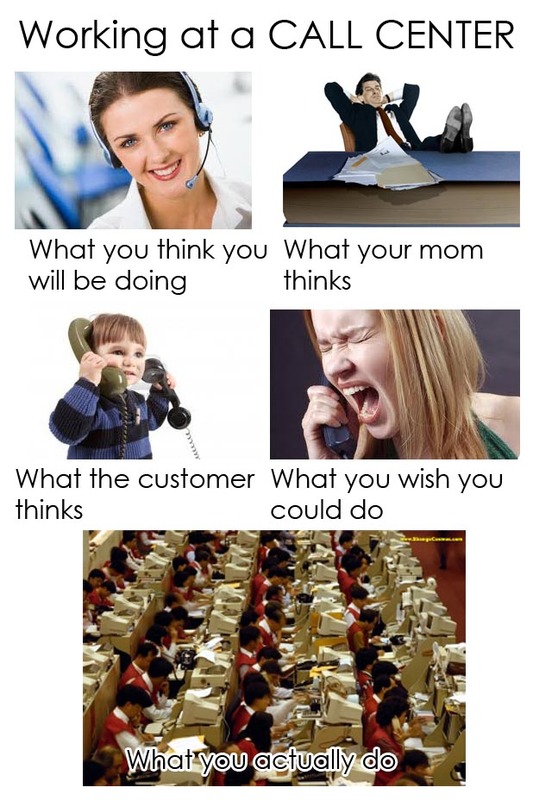 Yes, I work in a call center. 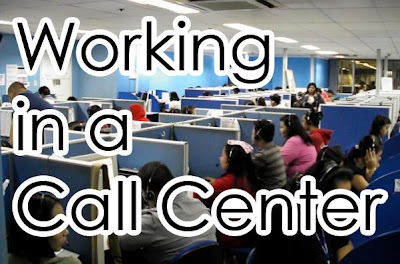 No, I don't hate it (most of the time) But here is a list of why I don't like working in a call center vs. why I do like it. A pro and cons debate, if you will. I work in an inbound call center (where people call me, not I call them) Monday-Thursday and on Saturdays. Don't get me wrong, I am very grateful to have a job--but sometimes work is just so ridiculous!! I'm really close to people around me and many of them smoke. Sometimes it is really hard for me to breathe. I hate smoke. I have to work weekends when my hubby is off. I sound like a parrot "Thank you for calling the..." "Would you like the..."
I hate "stupid" rules. Like, not going back to your desk until after your lunch shift (as in, sometimes you are min or two late because you can't enter the floor until your 30 min are up) or the fact that you have to wear shoes. I'm in a cubicle. Why do I have to wear shoes? What do you do for your day job? Let me know what drives you crazy! If you want to make a pro-con list, feel free to link up with me.